The new RAM 3500 is an absolute powerhouse of a truck, with a robust maximum towing capacity, available auto-level rear air suspension, and more. 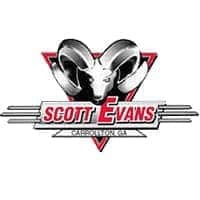 Learn more about the RAM 3500 towing capabilities and capacities, then explore our new RAM 3500 inventory available now at Scott Evans CDJR near Douglas County. If you want to explore more RAM pickup trucks, compare the RAM 3500 vs the Ford F-350 to see what each model offers. Then be sure to contact us at Scott Evans CDJR to schedule a test drive!